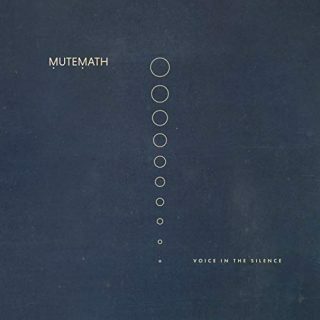 Mutemath : Voice In The Silence EP album download | Has it Leaked? So I've decided to put out a new Mutemath EP that is dedicated to you, the tried and true. If you're reading this and are still around after everything that went down this past year, you have no idea what that means to me. Your dedication and support is downright humbling, borderline insane, (lol) and I love you all! So I wanted to cap off this year especially, by framing it in some music for us. 2018 will undoubtedly be an unforgettable year for me. When the new year rang in, I took it upon myself to re-imagine and perform a song from our last album just to see if I could. I dove into it as an experiment and wasn't sure where it might lead, but the song itself became a mantra for me and as the year went on I began to feel inclined to channel this experiment into something tangible. Specifically, I wanted to gather certain songs I'd written for Mutemath that hadn't been released but marked some special moments for me throughout the past 15 years. And I look forward to sharing more about the stories that surround these songs at a later time. But to get going, it just felt right that these particular stories be told in the context of a unique Mutemath project. When I reflect on everything surrounding the release and touring of our last album, Play Dead, I realized I was in such a state of damage control, I never really got a chance to step back, clear my head and figure out how I needed to say goodbye to what was suddenly over. So this past year, I spent a lot of time soul searching, and I can say I've meaningfully accepted the loss of an era but wanted to make peace with it in my own way. I needed to move forward on my own terms and not feel it's just a reaction to circumstance or what people think I should do. So here it begins with this EP. And for those who like the deep cuts, there is an extended version just on vinyl coming that will have an additional 4 songs I'd love for you to experience solely in the "play a record while sippin on a cozy drink in a comfy chair" scenario. For me, it was great to uncover the time arc that spans through these songs, and I'm thrilled to share it with you as our own sort of musical photo album. And lastly I want to point out that not only is this project intended to highlight the musical path we've gotten to share so far, but also serve as an invitation to join me for what's next. I have gradually been banking ideas for my new solo project 1PM which I'm stoked about and will continue to work on through next year. However my main focus and passion has become helping to support and empower the new tier of artists as a producer slash auxiliary collaborator guy. For Mutemath, I've decided I will be the only one driving the creative process going forward and would like to afford it the flexibility of morphing with any collective of musicians that feel right for the moment. Although at this moment, I felt it needed to be just me. So all of this to say, lots of music to come in many forms. I'm excited about this new chapter and so grateful for all of you who are still here. Mutemath has meant a lot to me, I'm proud of the work that came of it, and I don't feel the need to bury it and walk away. Just repack it, find a new compartment in the suitcase, and let it come with me in a revised form for the next part of my trip. I look forward to still seeing all of you and continuing the narrative we share through this music. Much love everyone and have a great holiday season!